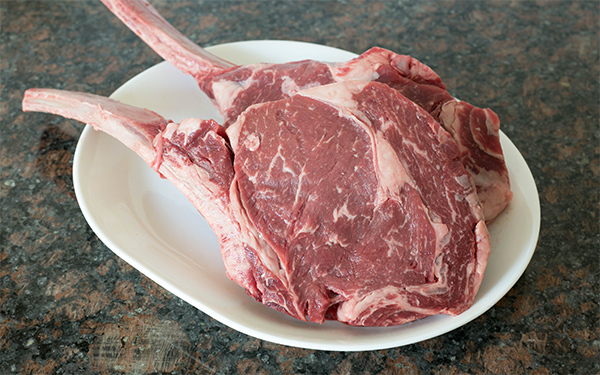 When the Superbowl rolls around and I want to throw a special party, I like to smoke and then grill tomahawk ribeyes. These beauties also make for a great centerpiece for a special occasion meal. 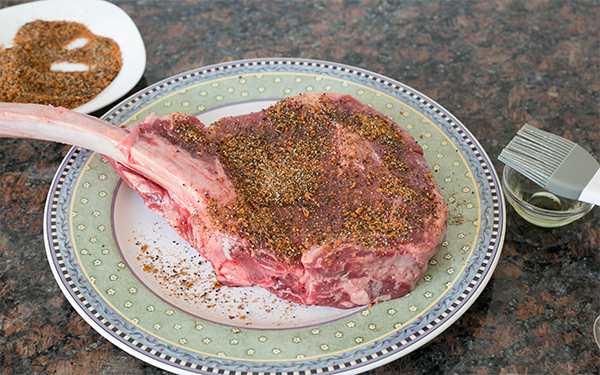 This simple recipe using my SYD beef rub and spiked with instant coffee could possibly go down as one of the best steaks you’ve eaten. 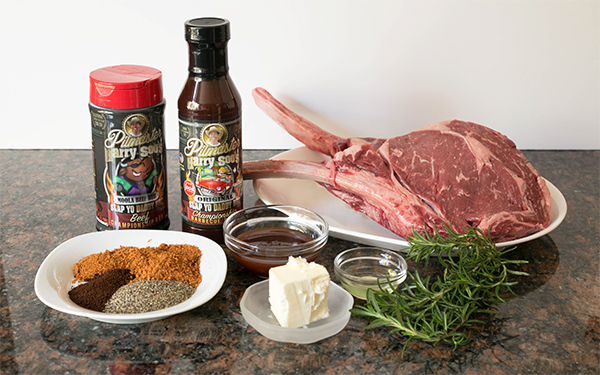 They key is to smoke the ribeyes first before brushing them with rosemary scented butter. 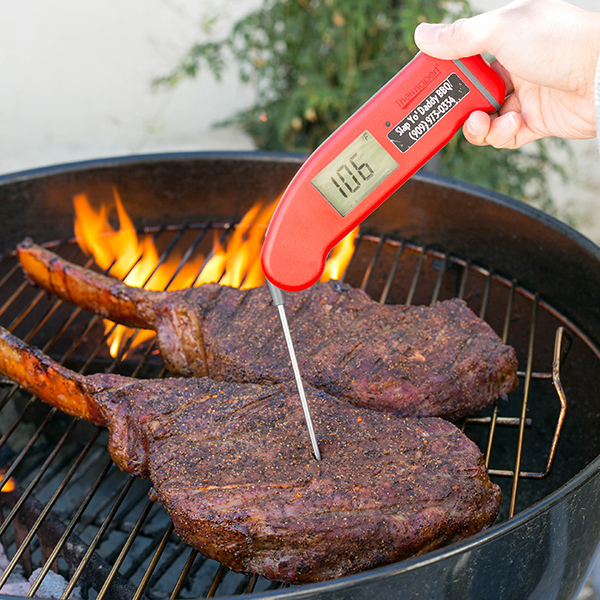 Use a high quality instant read thermometer like a Thermapen to ensure you cook it to your desired doneness. 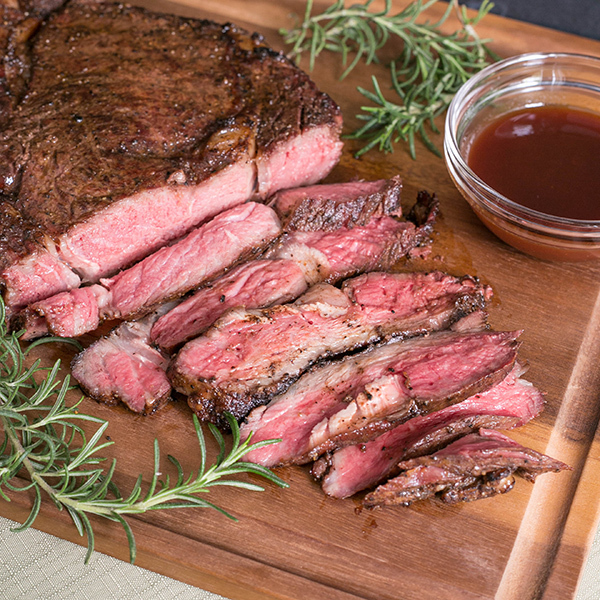 I like medium rare so I remove around 125F and let it rest 15 minutes loosely covered to let the internal temperature settle into medium rare goodness. Place into 275F pit on the indirect zone away from the fire. 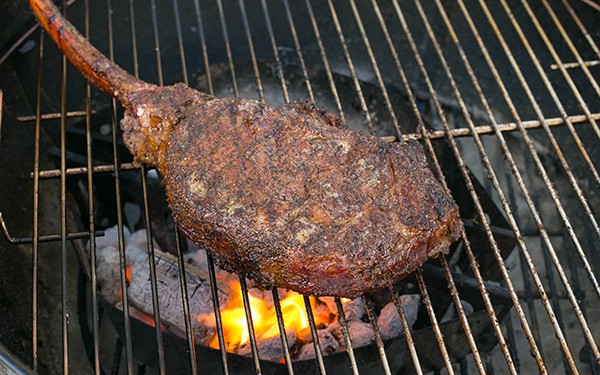 Add some wood chunks to get some smoke flavor (I used hickory chunks). 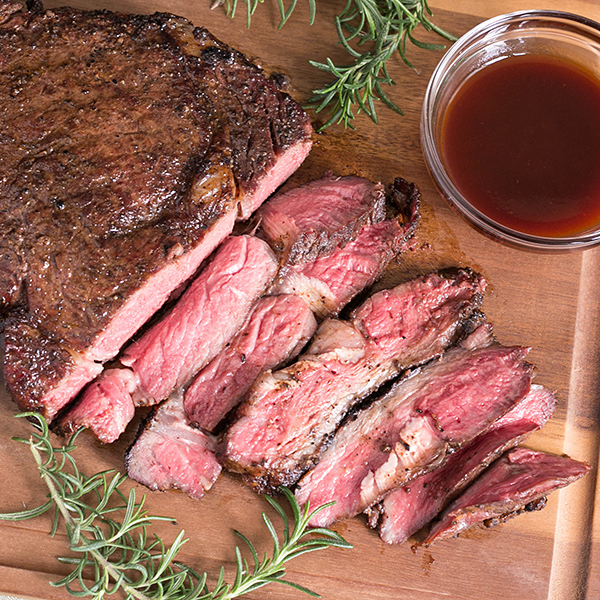 Move the steaks over the direct zone to get a char. 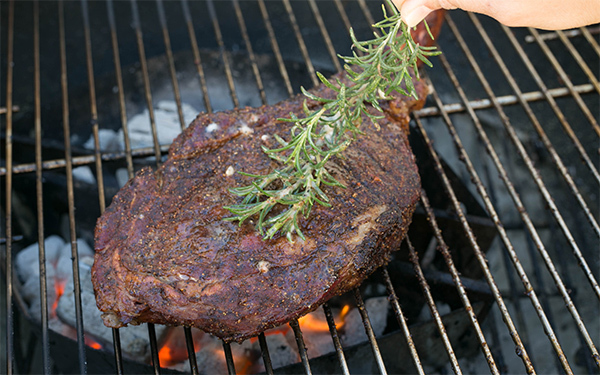 Brush on the melted butter using a few rosemary sprigs tied together as a brush. 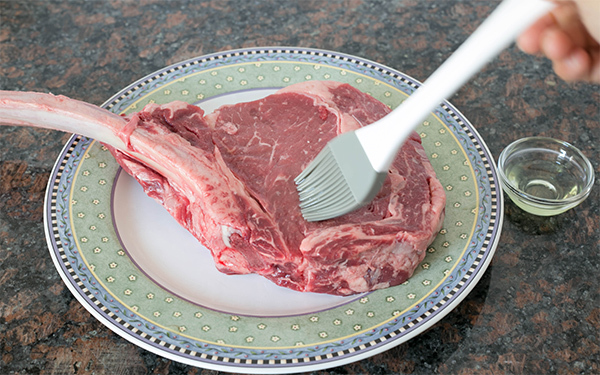 Remove when medium rare (about 125F) or the doneness you like.